Today’s laptops are just a fraction of what they were in the past in terms of size and weight. People today are no longer just looking for powerful laptops, they also want them lighter and thinner. And that is just what many makers are now trying to do- make a powerful laptop lighter and thinner. And the competition in this area is quite tough. 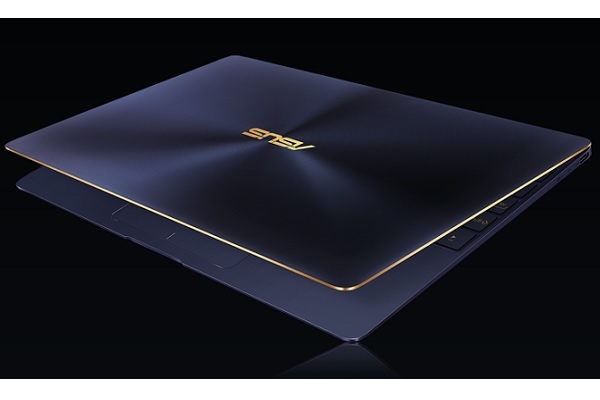 ASUS aims to come out on top with its new ASUS ZenBook 3 ultraportable. The ASUS ZenBook 3 comes out as thinner and lighter than the previous ZenBook UX305. It is thinner at just 11.9mm thin and weighs just two pounds. By comparison, the Macbook 13.2mm thick and 2.03 pounds in weight. But what makes the ASUS ZenBook 3 remarkable is that it sports a larger 12.5-inch display. In many aspects, the ASUS ZenBook 3 ultraportable is more powerful with an Intel Core i7 processor, 16GB RAM and 1TB SSD. Now, that’s the high end model of this ultraportable that we’re talking about. When it comes out, it is expected to cost around $1,999. But there are also lower end models also planned for those who prefer more affordable options for an ultraportable this thin and light. But don’t get that excited yet as ASUS still remains mum on the availability details of the ZenBook 3.